Here’s a chance to apply the Big Stitching Basics we reviewed yesterday! 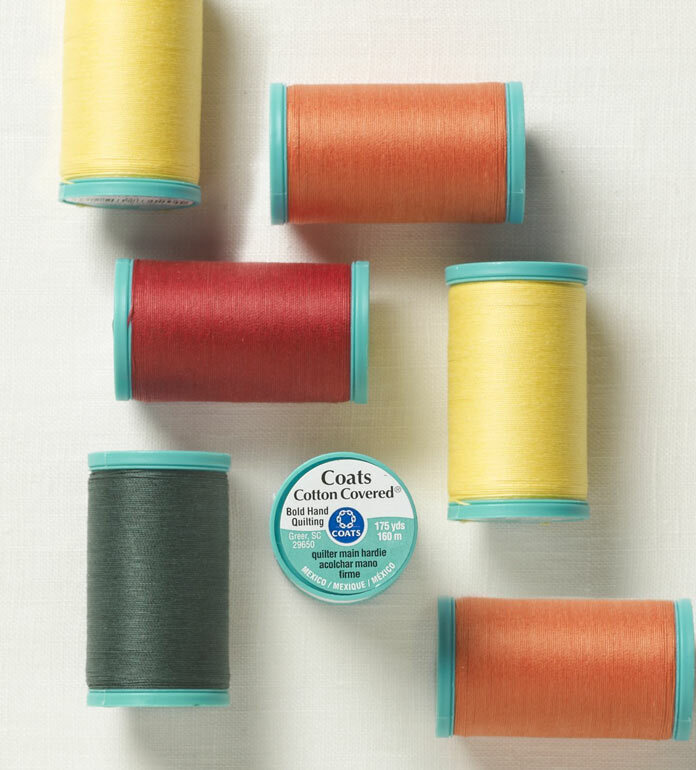 Over the next 3 days, I’ll post the free projects you can try using Coats Bold Hand Quilting Thread. I’ve ordered them from smallest to largest. 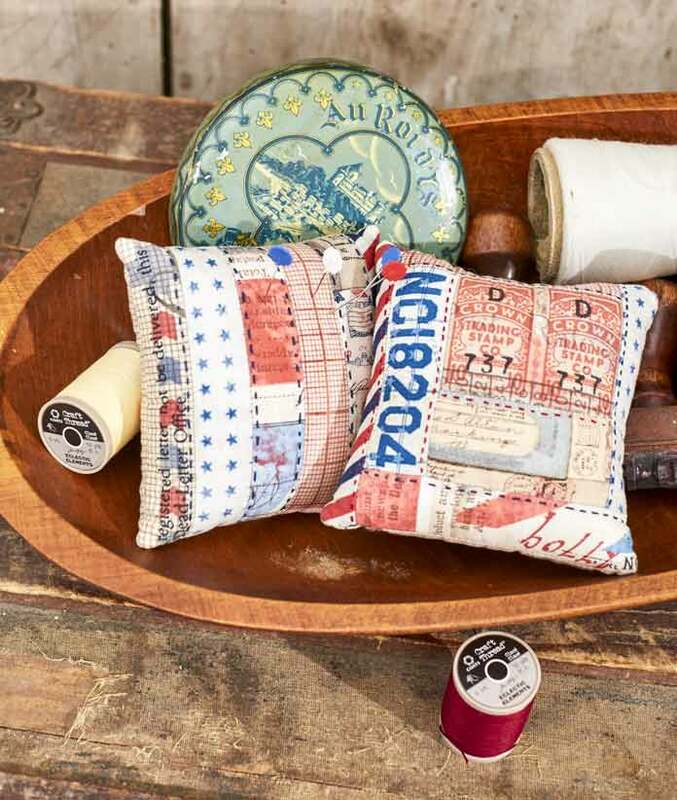 And, if you’re in gift-making mode, these first two pillows are absolutely perfect. The first pillow, Strips ‘n Stitches, is done by piecing strips of fabric, even from your scrap stash, and then hand quilting in the big stitches technique we reviewed yesterday. The second pillow, ‘Log Cabin’ in the cushion is valuable as it’s a perfect pillow top to learn the log cabin quilt design if you’ve never made one before. Quick and sweet for that instant gratification! You essential use the seam lines as a guide to make big stitch hand quilting. See the instructions for Strips ‘n Stitches and Log Cabin Pincushion for cutting and piecing details and how to quilt and finish the pillows. Tomorrow, we look at making big stitches using dots as a guide, using Coats Bold Hand Quilting Thread.